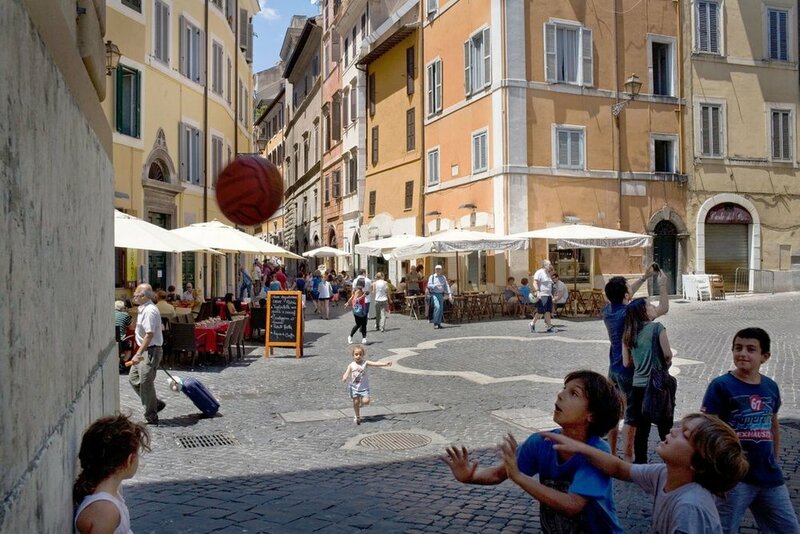 With Taste Trails Rome Cookery school Italy's week long cooking holidays we spend the day in Rome visiting some of our favourite places and without doubt one of the those places is the Jewish Ghetto. The Jewish community has been part of Rome for more than 2000 years. Here in the very heart of Rome you will find an oasis of calm and whenever I visit I always feel I am being transported back to a time when life was simpler and people were warmer. The Jewish Ghetto of Rome was originally called the “Enclosure of the Jews” where the Jewish population of Rome was forced to live for more than 300 years. The poor quality of life and the atrocious living conditions were inhumane, but despite all the challenges they had faced and there have been many , most notably the Nazi roundup and deportation of Jews in WW2, Here is the small wall plaque that commemorates “la spietata caccia agli ebrei” — the merciless hunting down of the Jews — that took place here on Oct. 16, 1943. The Ghetto was a virtual prison for a large part of the city’s Jewish community. On the morning of Oct. 16, SS Captain Theodor Dannecker ordered that the prison be emptied. Trucks pulled up on the cobblestoned piazza beside the Portico d’Ottavia, the neighborhood was sealed, and 365 German soldiers fanned out through the narrow streets and courtyards. Families hid at the backs of their shuttered shops. The able-bodied and quick-witted jumped from their windows or fled along the rooftops. The unlucky were hounded from their homes at gunpoint and herded into the idling trucks. Of the more than 1,000 Roman Jews seized that day and later transported to Auschwitz, only 16 survived. Despite the horror of this event the Ghetto and the Jewish community of Rome not only managed to just about survive, but thrived. Adored by the Romans themselves, but often overlooked by tourists, this little quarter tucked away off the beaten track, the Portico d’Ottavia has been the heart of Rome’s Jewish ghetto, four cramped blocks wedged between the Tiber, the Turtle Fountain, the Theater of Marcellus, the Palazzo Cenci and the Old Synagogue. This is also the place where Roman Jewish cuisine was born and the many now traditional Roman dishes were first served in the kosher restaurants. Dishes such as carciofi alla giudia or carciofi alla giudia a staple in Rome’s Jewish quarter, these artichokes are quickly fried, turning the leaves crisp and nutty and the hearts tender and earthy - sublime. The Ghetto belongs to generations of Roman jews , the cafes, pasticcerias, Kosher butchers, restaurants and Synagogue all bear wines to this. 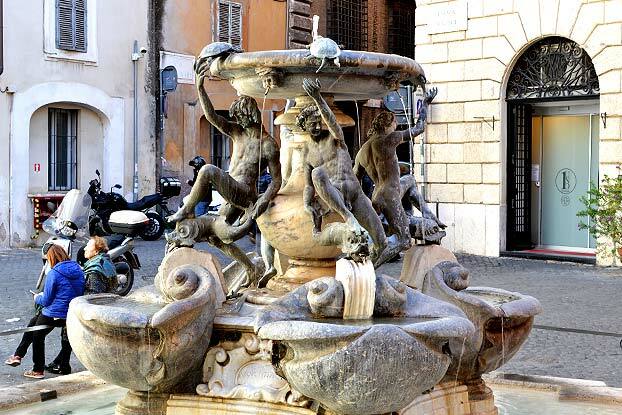 With a Taste Trails Rome cookery school Italy week long cookery holiday , we spend the day in Rome..
Want to experience for yourself Rome's Jewish Ghetto ? Well you can with our Cookery school Italy. We run the Cookery school Italy through out the year from March to November and for particular groups we can of course organise other dates/programs . A warm welcome awaits.